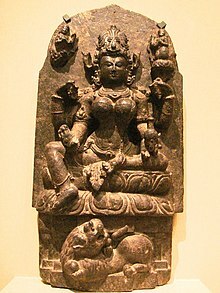 Parvati (IAST: Pārvatī) or Uma (IAST: Umā) is the Hindu goddess o growthiness, luve an devotion; as well as o divine strenth an pouer. ↑ James D. Holt (2014). Religious Education in the Secondary School: An Introduction to Teaching, Learning and the World Religions. Routledge. p. 180. ISBN 978-1-317-69874-6. This page wis last eeditit on 15 Juin 2017, at 02:58.